Otter Creek Brewing Co. exudes cool, from its website to its brewery to its delectably creative beers. Brewmaster Mike Gerhart has been infusing his particular brand of cool into handcrafted brews since “acid washed jeans were in.” If you’re too young (or too old) to remember this denim trend, that’s circa 1991. Everything Otter Creek puts out is brewed locally. The location we visited in Middlebury is where it happens. 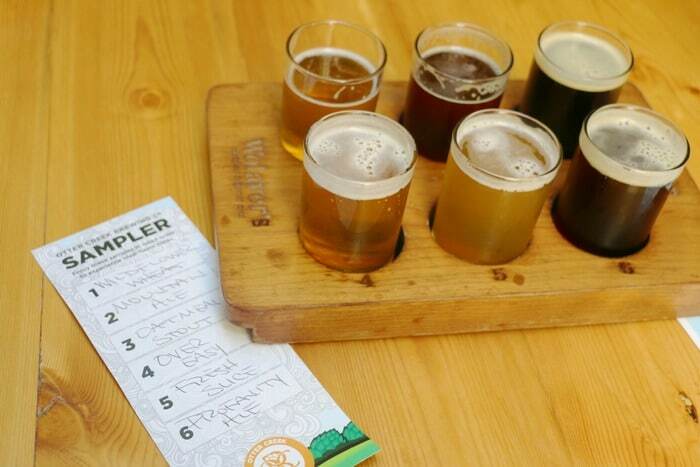 There’s a refreshing authenticity about this brewing company, and of course, its beers. Otter Creek’s logo, a dog riding shotgun in a VW van, features Gerhart’s actual vehicle and pup. The van’s name is Clementine (it’s orange), and the Bernese Mountain Dog is called Oslo. The year-round variety is astounding, not to mention the selection of seasonal brews and cheeky partnerships with best buds, like ‘Joint Custody,’ a beer blended by Otter Creek and Jack’s Abby Brewing Co.
Our favorite was the ‘Wildflower Wheat,’ light and sweet and lovely when paired with our lunch of beer pretzels, a mini quesadilla and the ‘Local’ panini, featuring turkey, brie and strawberry habanero jam. 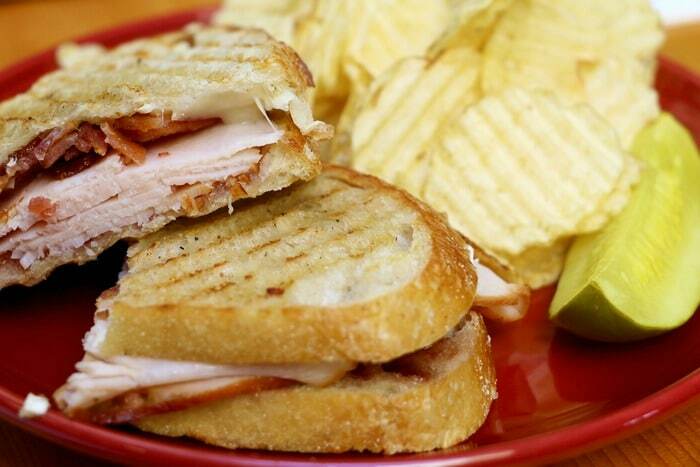 The Pub Menu offers up tasty treats crafted with love and local ingredients. Options include Munchies like Lime Avocado Hummus and a Cheese Plate, Salads, Soups, Nachos, Crostinis, Paninis and more. There are vegetarian and spicy choices, too. It’s an impressive operation, definitely in a period of growth. But, we have a feeling they’ll stay true to their (very cool) roots. 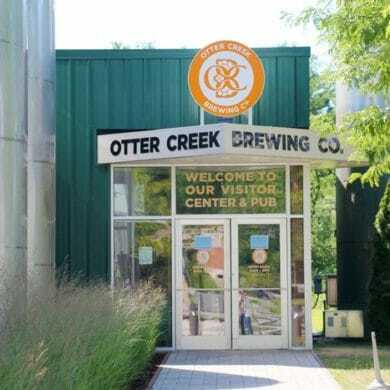 Otter Creek Brewing Co. is located at 793 Exchange Street in Middlebury VT. For more information, visit the Otter Creek Brewery website or call (802) 388-0727.